Ditto - Where can I buy this? 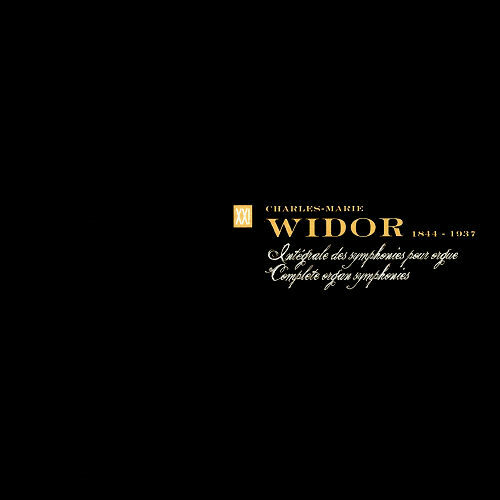 https://www.amazon.fr/Widor-Int%C3%A9grale-symphonies-orgue-Casavant/dp/B00476SZDM https://musique.fnac.com/a3333631/Charles-Marie-Widor-Integrale-symphonies-orgue-CD-album I bought my set at a music store in Oakville, Ontario, Canada but I can't remember which one given it was a few years ago already. This rendition kicks it. Awesome. A beautiful and unstrained voice in a fantastic acoustic. These are some of the best performances of the Widor Symphonies I've heard. Jacqueline Rochette is a revelation! The St. Roch Casavant is truly a remarkable instrument and faithfully serves this music. One of the firms best periods of organ building. Spectacular combination of music, instrument, acoustic and performer! Perhaps the finest period or organ building by the Casavant firm, IMO. Sorry to have missed hearing the instrument live when I visited the church several years ago.